Posted in News on October 26, 2016 by Sports Video Group. The dynamic world of video-content creation and distribution is dramatically changing the sports-media landscape and to help Sports Video Group (SVG) members new and old better understand and embrace this environment, the SVG is pleased to launch its SVG Digital initiative. 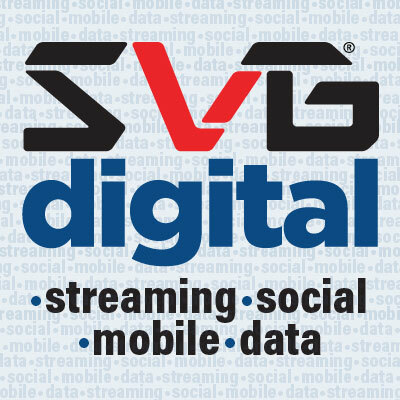 SVG Digital is dedicated to covering the biggest developments, influencers, and trends in social media, OTT, mobile, and data-driven industries. SVG Digital will also offer industry outreach and networking events designed to bring together the worlds of end users and technology developers to collaborate and continue to push the sports-media industry forward. The keystone to SVG Digital will be the SVG Digital Summit, which is set to debut on Dec. 12 at the New York Hilton Midtown in New York City. The event will be highlighted by a keynote conversation with Bleacher Report President Rory Brown. Professionals from networks, media companies, leagues, and teams that work in such areas as live-streaming video, social media, OTT-platform and mobile-app development, and much more are encouraged to attend and become a part of the growing SVG Digital community. To follow and engage with SVG Digital, follow our new Facebook page and begin engaging with this blossoming community today! To learn more and to become a part of SVG Digital, contact Brandon Costa, director, SVG Digital, at Brandon@sportsvideo.org or visit the SVG website, www.sportsvideo.org.